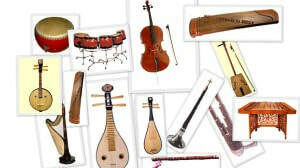 The cello is most closely associated with European classical music. It is part of the standard orchestra and is the bass voice of the string quartet. It is typically made from wood and played while seated. Its weight is supported mainly by its endpin or spike, which rests on the floor; it is steadied on the lower bout between the knees of the seated player, and on the upper bout against the upper chest. The neck of the cello is above the player’s left shoulder. The bow is drawn horizontally across the strings. Cello is part of the standard symphony orchestra and is a critical part of orchestral music. It provides part of the harmony for the orchestra much of the time and in some occasions, it plays the melody for a brief period of time before returning to the harmony. 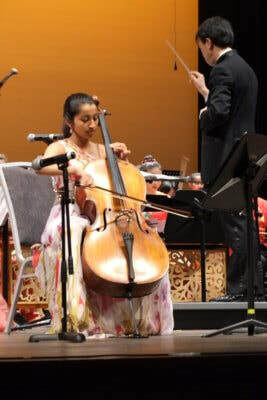 Cello is also widely used in Chinese symphony because of its same critical role in providing the bass voice and harmony to the orchestra.